Dave and I love to go on all sorts of dates. We like to go to the movies, go to breweries, and to go see bands play. Sometimes, though, it's fun to spice it up a little bit with some dates that are unique to the season. 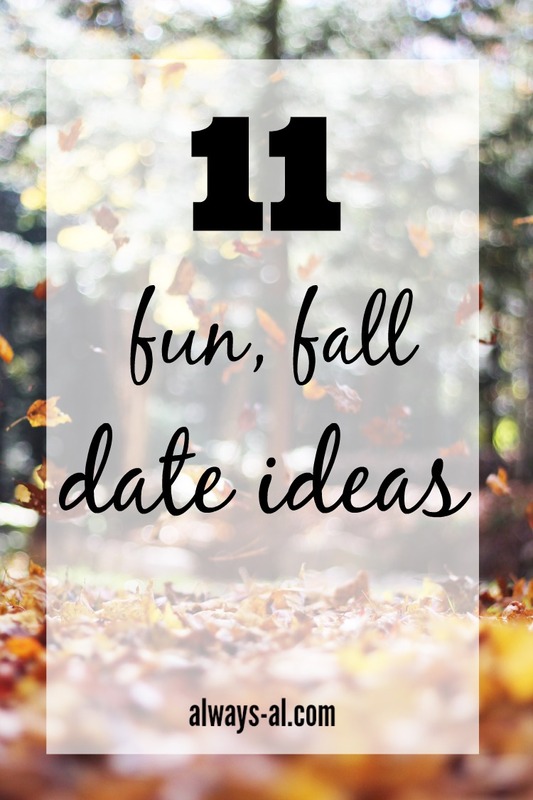 We did a lot of fun things from my cheap summer date list, so I thought it would be fun to come up with some ideas for fall. And so, the fun, fall date list was born. Some of these are definitely in the "cheap" category, but some require an admission fee. All of them are fun, though! - Have a chili cook off. Chili is a perfect fall food, and can be made in so many variations. - Go to the pumpkin patch together. Carve or paint the pumpkins you pick. - Cook each other a fall themed dinner. Squash, corn and turkey for the win! - Take a haunted tour of your town. If your town has interesting history, this season is the time to learn about it! - Cheesy Halloween movie night! Break out the Ghostbusters and Hocus Pocus DVDs! - Work on your Halloween costume. Even better if you have an awesome couple's costume. I can almost never convince Dave to wear a costume with me! - Tailgate, and watch a football game. I recommend this crowd pleasing recipe for Buffalo Chicken Wing Dip. - Visit a brewery. We like to do this during any season, but now all the tasty pumpkin beers and Oktoberfests are out. Go try a sample! - Snuggle. Snuggle on the couch while watching a movie. Snuggle by the fire. Just snuggle and talk. Snuggling is good for the soul--trust me on this one. What are your favorite dates to go on in the fall?